Previously, when you used 123Landlord in conjunction with Stripe to receive credit card payments from tenants, the Stripe fees had to be absorbed by you - or included in your rent payments..
Now we've added an option to pass those fees onto the tenant directly at the time of payment. 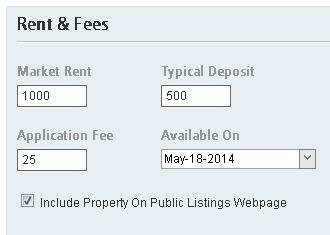 Check the "Tenant Pays Credit Card Fees" box and click the Save button above it. Note that these fees are still debited by Stripe from your bank account before depositing to your account on a rolling basis, but now these fees will be covered ahead of time by the tenant. 3. You must first specify the subdomain that you wish to use as the URL to your page - this should typically be something like MyCompany.123Landlord.com. Note that you can create a URL to list all of your properties, or just properties for a specific owner. You can have any number of subdomains, so you can have a separate URL for each owner if you need that. 4. Clicking the URL/Link button will register your URL/subdomain. Note: it takes 24 hours for your subdomain to be activated by 123Landlord staff, and for the DNS entry to propagate fully. Please wait at least 24 hours before you inquire about the status of your subdomain. 5. Once your URL has been activated, you may use this URL to view your listings. Note again that you will have to designate (from the main 123Landlord system) specific properties to be included in this list. (See Step 1, above). You can give this URL to prospective tenants so they can view and apply for listings online, or you can include a link to this page from your own website. You can also directly embed the listings page into your own site with a simple IFRAME HTML tag - contact us if you need help with that. 7. When an application is completed, a notification email is sent to you. 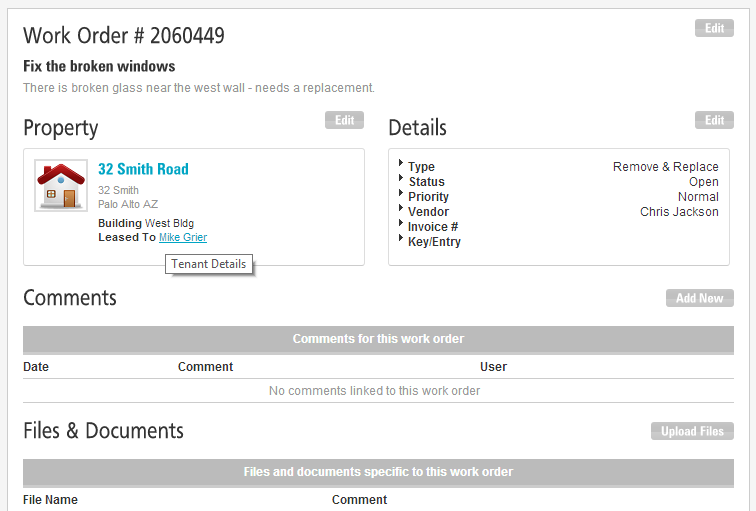 An applicant record is also added to the Applicants tab inside the main 123Landlord system for your account. 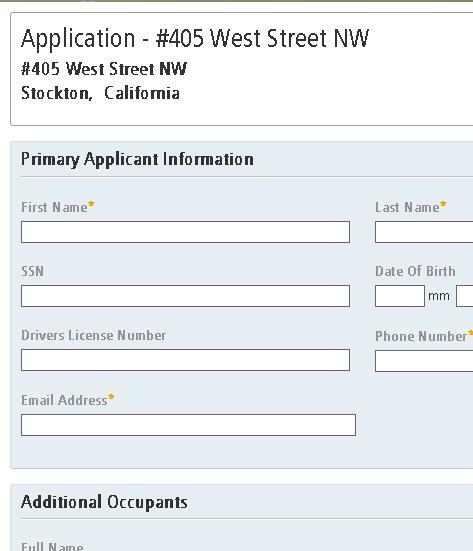 Here you can decline the applicant, or approve him/her an ultimately convert the applicant record into a full fledged Tenant record (linking the tenant to property etc.) with just a few clicks. 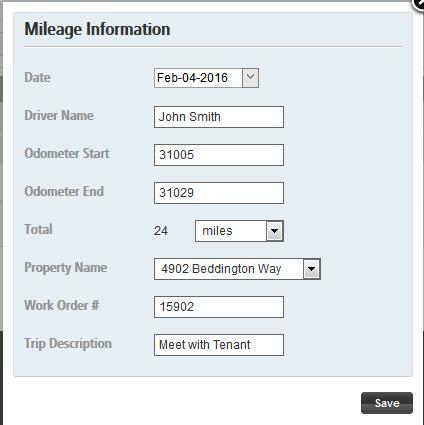 We've just added a Mileage module to 123Landlord, so you can now keep track of mileage for property visits, trips to pick up supplies, or for any other business-related travel. Today we've added a feature that has been long requested - the ability to print checks. First off, a disclaimer - we currently support one check template - the standard laser printed business check template, with the check at the top and the bank slip and stub at the bottom. If you have a different template, please contact us to discuss adding your template to your account. 1. Click the Accounting tab. You can set the Check Date, and the Payee Information. If you've selected one accounting entry, the default payee might already be set, depending on the specific settings of that accounting entry. Basically this lets you define the default payee (either the Vendor, Tenant, or a custom entry) for that specific accounting entry. 5. Back on the Check Options screen, you can also specify whether you want all items on one check, or to have a separate check for each entry. 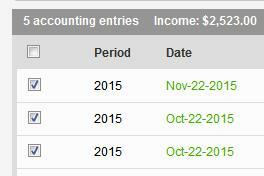 If only selected one accounting entry in Step 2, this option is irrelevant. Otherwise, you can choose to combine items onto one check, or have each item separate. If you elected to print one check for all items, but there were more than 12 items, you will have more than one check, with the first twelve items (and the total for those) on the first check, the next twelve on the second check, and so on. If you had 12 items or less, everything should be contained on one check. 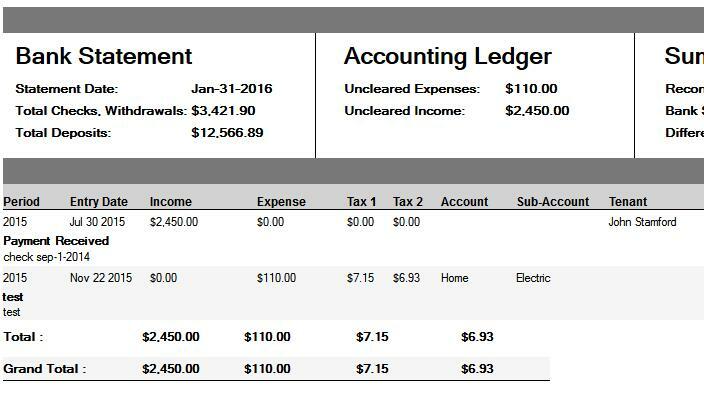 If you chose to have a separate check for each accounting entry, you'll be able to page through and see all of the checks. With this update, you can now reconcile your 123Landlord accounting ledger against your actual bank statement. Transactions can be cleared or flagged, and you can run a reconciliation report to show discrepancies between your bookkeeping and your bank account. 1. 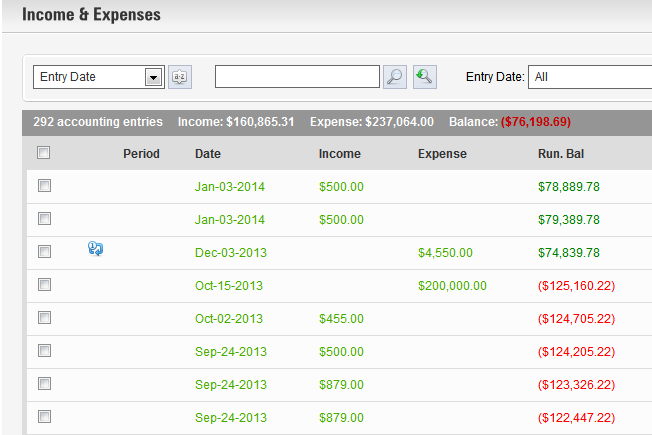 Click the Accounting button to open the income & expense ledgers. 4. In order to perform bank reconciliations, you first need to add a Bank Statement. The bank statement entry just allows you to enter the statement date and the total amount of credits and debits/checks on the bank statement. You can get this information from your paper or electronic statement. 123Landlord will use this info to compare its entries against the totals in your bank account. 5. Enter the Statement Date and the total amount of deposits/credits, and withdrawals/debits/checks. Click Save. 7. You can edit or delete the bank statement. 8. To begin the reconciliation process, click the "Start Reconciliation" button. You perform the bank reconciliation manually by verifying each entry in 123Landlord that has a corresponding entry in your paper (or electronic statement). There is no capability to import bank statement entries at this time. The pending state (gray) is the default state - when you have not performed reconciliation on an entry and its state is still undecided. Cleared implies that the accounting entry in 123Landlord matches an equivalent entry in your bank statement. The Uncleared state means that the accounting entry is flagged for review. As you go through each entry and either Clear it, or Flag/Unclear it, these states will be saved. You can always review these states by clicking the Start Reconciliation button. When you are done, click the Finish Reconciliation button. The bank reconciliation report will show the uncleared expenses and income and the discrepancies between the totals in your bank statement. It will also show details about all of the uncleared entries for your review. We've noticed a lot our users like to upload and use their own logo on reports and the 123Landlord header, and that's great. What often looks less than perfect, however, is when you use a logo that has a block white background, or one that has dark text in it, and it clashes with the dark blue background of our header color scheme. We obviously don't expect you to have to change your logo or tweak it to suit, so we decided it might be nice to offer a few different color themes so you could find a header background that matches your logo best. And so, now, when you click the Settings button and the Settings popup screen is displayed, you'll see there is a "Header Theme" drop-down option - the 123Landlord Default is the 'out-of-the-box' preset, but you select any theme and preview it, and click Save to finalize it. Hopefully this is a bit of an improvement - Happy Holidays and all the best in 2016! Today we're announcing the release of a small but powerful addition to the Edit Lease screen, one that was requested by our user base. 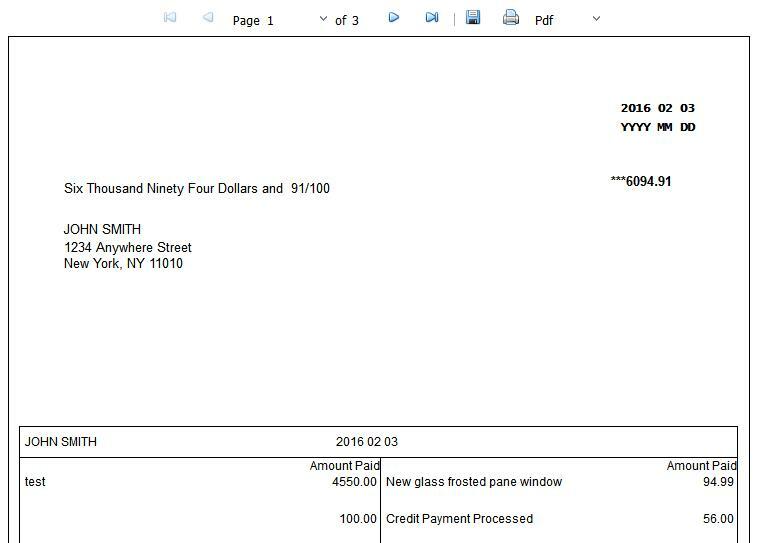 Previously, you were able to 'other' non-rent charges to a tenant's statement on the Edit Lease screen - these included things like fees, deposits, and other items that either were billed regularly or on a fixed date. The most common charges our users would add were of the recurring variety - either they were set to recur "each time rent is due", or they were set to recur "monthly, on a specific date". The problem with these, especially if you added them well after you set up the original lease, is that they would appear retroactively on the tenant's statement, so you were forced to back-collect these, even if this didn't reflect reality. Sometimes, you just want to add a charge that starts "now", going-forward. Another scenario was that you often might have a charge that changes over time - for example, let's say that you have a fee that is $125 for Jan 1 to July 31, and then $200 from Aug 1 to Dec 31. You couldn't be this specific before today - the charge would go on as long as the lease was valid for the $100, and the only way to get around this was to create multiple (often many!) single manual date charges - for example, one for June ($100), July ($100), etc and then one for Aug ($200), and so on - this was time consuming and error prone. If you don't need a specific validity period for the charge, just leave them blank, which means the charge will be valid from the first rental period (which is derived from the 'First Payment Due On' date on the lease), all the way until the end of the lease (so the charge won't expire until the lease does). 1 Note that the date ranges you select affect the periods of the lease - the due dates - not today's date. So even though today's date might be valid between your From and Until date selection, 123Landlord compares this date range to the due date of each period, so make sure your lease "First Payment Due On" date and end date fall within the ranges you want. Prior to this update, whenever you wanted to renew an existing lease in 123Landlord, you had to either extend out the end date of an existing lease and re-save it, or you'd have to perform the Tenant Move Out procedure (see page 69 of the 123Landlord User Manual) and then create a new lease for the same tenant and property. The problem with the first approach is that you don't get a record of the end point of the old lease, and you couldn't (easily) adjust the rent for the new lease going forward, without overriding a lot of payment periods manually and adjusting the amounts due. The drawback to the Move Out procedure is that you aren't technically moving the tenant out, and you'd have to back in and re-enter a lot of the same info for the new lease. Now we have added a more streamlined way to do this, which solves these problems and eliminates some of the double-entry. You are now able to specify the terms of the new lease, including the start date, end date, and when the first payment is due (all subsequent payments are derived from this date). The lease will recur at the same frequency as the original lease (monthly, weekly, etc) and much of the information (property, tenant, etc) will be copied over to the new lease. The existing lease will be closed and archived. Late fee information cannot be changed - if you need to change the late fee structure for the new lease you will have to create a new lease manually using the second (Move Tenant Out) method described above. Note that you can increase/decrease the rent amount for the new lease. If the old lease had any "Other" non-rent charges applied to it, the Renew Lease function will only copy over the ones that were set to recur whenever rent is due. Fixed date charges will not be carried over; you will need to add these afterward manually. Once you click Renew Lease, the old lease will be closed and archived, which means if there are any outstanding balances or payments due on it (for example, if you renew the lease before the tenant has paid last month's rent) - you likely won't see these charges on the Payments --> Payments Due screen unless you toggle the filter drop-down on that screen to "Include Closed Leases". Then you can pay these items normally. 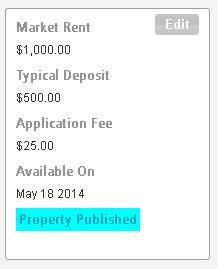 - added Lease Deposit Flat Fee (Amount Only) field to list of available lease fields for documents & PDFs. In addition to ACH (bank-to-bank) payments, we're now releasing the ability for tenants to pay on the portal with credit cards. We realize this might not be a viable option for all due to the fees (you can always pass those on to the tenant) but if you don't qualify for ACH payments, this is the next best thing. We've had more and more of our customers request credit card payment integration, so we've decided to finally release this. The best part is that it is very simple to get this set up - you literally can be up & running and receiving payments from your tenants in 10 minutes. 3. After that has been completed, you'll be redirected back to our page where is should show "Authorized & Connected" under the connect button. Today we just released a new module to 123Landlord which is completely dedicated to Applicants. Up until now, we handled applicants as tenants without a lease, and they appeared on the New tab on the Tenants page. Other than them being separated from the other tenants (which were on the Leasing or Former/Closed tabs), you couldn't really do much with them specific to the application process. New applicants, when created, are by default of "Pending" status - that is, they haven't been approved or declined. You can approve or decline them here, and they will be flagged as such. We've also added a handy filter drop-down to let you select between all applicants, and just those that have been designated as approved or declined. Furthermore, we've added the same Details page you've come to know from the Tenants areas - a full details page where you can do all of the things you'd expect about applicants - keep track of references, employment info, notes, etc. You can also upload pertinent files & documents for that applicant. You can convert the applicant to a full fledged tenant at any time - just click the Lease button on the Applicants list and you'll be able to create the lease etc - once you save that, the person will move from the applicants list to the Tenants tab list. Special Note: we've also built in support to import applicants from a specially designed application form that you can add to your website. To learn more or to have a custom application form developed to match the look & feel of your website, please contact us. Click the 'Make This Item Recurring" box to enable recurrence. Select whether the item will repeat monthly, daily, every 7 days, or select a custom number of days and enter those in the 'custom # of days' field. In the "Repeating" field, specify how many times the item should repeat. You can have the item repeat indefinitely, a specific number of times, or until a specific date. Regardless of the setting you choose here, the recurring items will only appear in your work order list when they have been generated - for example, if your settings generate a set of work orders on Sept 1, Oct 1, Nov 1, and Dec 1 - and today's date is Nov 10th, you'll only see the entries for Sept 1, Oct 1, and Nov 1. The Dec 1 entry will not appear until Dec 1 or later. The actual work order you're duplicating (or recurring) is set up on the General tab. Most of the information set on this tab will be duplicated, including the description and work details, type, status, priority, status, and the tenant/property/building it is assigned to. 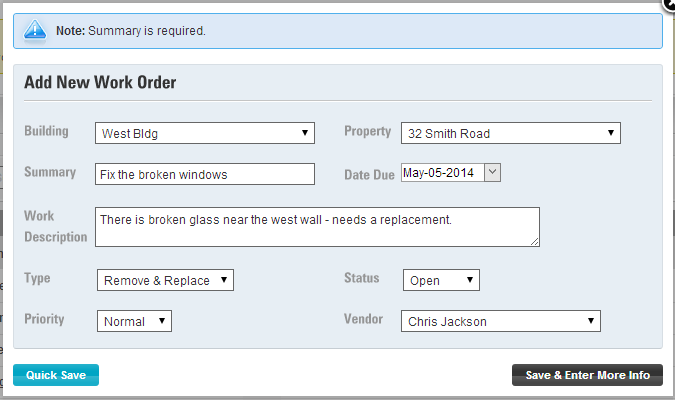 The first work order generated will be set according to the Opened date specified on the General tab. 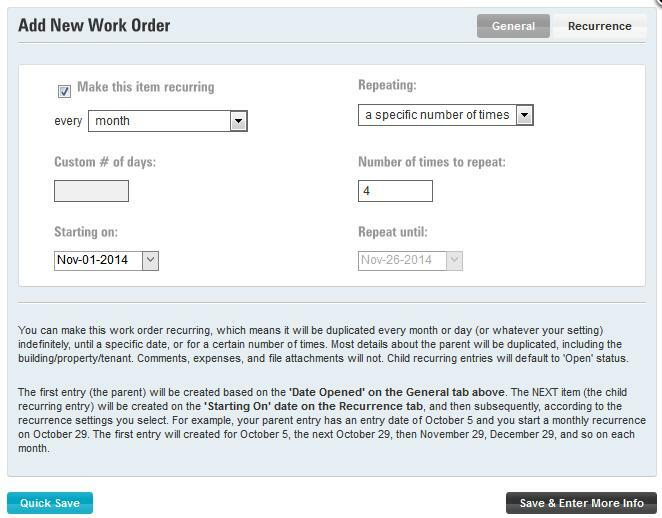 The next recurring work order generated will occur on the Starting On date of the Recurrence tab. This is the first child recurring entry. Subsequent child entries will be created based on the recurrence settings you specify. So, as an example, you create a work order with an Opened date (on the General tab) of Oct 12. You specify a monthly recurrence starting on Nov 1, recurring four times. You'll get the original work order with an Opened date of Oct 12, and (when today's date is Nov 1 or later), you'll see the first recurring entry for Nov 1. As time moves forward, you'll see the Dec 1 entry, the Jan 1 entry, and the Feb 1 entry. Because you've specified a limit of 4 times, the recurrence will then stop. Q. What would be the best way to record a lease extension at a new rent without compromising the accounting? For example, We renewed a lease expiring on 12/31 for a higher rent. If I just modify the lease with the new expiration and the new rent, it will mess up the previous accounting and December’s rent. How can we accomplish this? 1. extend out the end date of the lease (don't modify anything else), click Refresh to load the new dates into the payment schedule, and click Save Lease. Ignore any popups about moving payments (click Ignore). 2. Then you can manually click into the due dates from any point (in the payment schedule at the bottom of the screen) and change them manually with the new amount, and then re-save the lease again. Ignore step 2 and once you've saved the lease in step 1, just go to the Admin, Update Leases tab and increase the rent due from any point going forward - this will do everything in step 2, but without all of the manual adjustments. Tip: How to send a mass email to all of your tenants. Q: I want to send a mass email to all my tenants at once. Is there a way to do this ? (First make sure all tenants have an email address on file in the system - you will have to go into the tenant details of each tenant to update this if needed). Click the checkbox in the header of the list of tenants (top-left corner) to select all tenants, or selectively check the box for each tenant you want to send the message to. Click the "Send an email, letter, or form, to selected tenants" button (on the top-right corner of the list, looks like an envelope icon). Ensure "Standard Email" is selected, and type the subject and the email body. Make sure "To Tenants" is selected at the bottom of the screen, and click Email. Verify which tenants will receive the email, verify that they have email addresses (and they are correct), and click Send All Emails, or selectively click Send to do them individually. The screen features a locked pane and a side-scrolling view, and you can specify any date range you'd like. You can view the calendar for specific building & property combinations, or all units. The Occupancy Calendar (like most things in 123Landlord) is specific to the current owner, so you can switch between owners to see the properties for any owner - just use the "Current Owner" button as usual. "The file you are trying to open, "ExportedHtml.xls', is in a different format than specified by the file extension. Verify that the file is not corrupted and is from a trusted source before opening the file. Do you want to open the file now?" You can indeed ignore this message, click Yes, and the Excel file will open. We've just added a feature that many of our users have requested: the ability to adjust rental rates for any or all leases going forward, without having to do it manually using the Lease due override method. You can choose to Increase or Decrease rent, and you can choose which specific leases to perform the operation on (or all leases) - please note that only open leases are shown. You can adjust the rental rate by a fixed amount (eg $25) or a percent (eg 2.25 %) - if entering percent, just enter the number without the percent symbol, and enter it as 2 (for 2%), not 0.02. You can perform the rent amount update for any due dates either after a specific date, or after and including the date you choose. To increase the rent by 2.5 % for all leases for all months after and including Sept 1, select the options as shown in the screenshot above and click Update. When the update is complete, you'll see a "Lease Update Complete" message - do NOT repeatedly click the Update button if the operation appears slow, this may result in duplicate runs of the update and increase (or decrease) the rent amount more than you had anticipated. 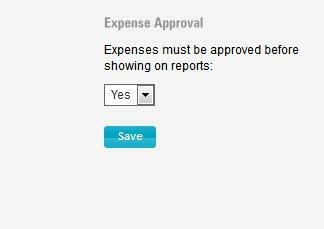 We recently added support for expense approvals - that is, the ability to approve or unapprove expenses. It turns out that some of our users needed a way to keep new expenses that were not yet approved segregated from the main list, and to keep the unapproved expenses off reports until they were approved. We also know that this might not be the way the majority of our users operate, so this had to be a feature that you could turn on, but was disabled by default, so you you'll need to enable this feature (it is off by default) - to do so, go to the Admin screen, Accounting tab. 2. Then go to the Accounting tab. Now you'll see a drop-down on the upper right corner of the tab allowing to you switch between Approved & Unapproved (the default), Approved Only, or Unapproved Only. Switching this will filter the list. 4. 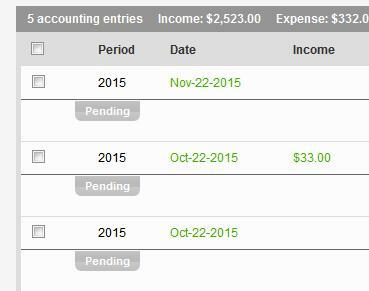 The accounting entries that are approved show a green 'check' icon. 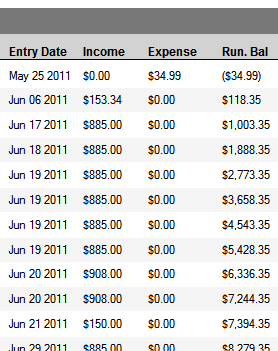 - this is only for expenses, not income entries. - with this setting on in Admin, only approved expenses will show up on the accounting entry and profit & loss reports (reports screen). - you can get a list of unapproved expenses, just by switching the filter toggle to 'Unapproved Only' and the other filter to "Expenses Only". We've recently made some updates to the ACH functionality of the tenant portal that allow you to have multiple bank accounts and specify which account each tenant's funds transfer gets transferred into. First, you need to have ACH payments enabled for your account (you'll need to be approved by the underwriting & compliance team first, but approvals are straightforward and only take 2-3 days). If you need multiple accounts, make sure request additional "Locations" when you're applying for the ACH add-on. For each Location, you'll have a different Location ID and this is associated with a particular bank account into which your tenants will send funds. Now, when you go to the Services page in 123Landlord, you'll see that there is an ACH Credentials section. PLEASE NOTE: If you don't currently have ACH services enabled, nothing you add to this area will matter - you need ACH enabled to proceed here. Also, if you already have ACH services enabled, but you only have one account and you want to keep it that way, this area does not apply to you - your credentials are already stored in the system. If you want to add another bank account, contact us. The ACH credentials area allows you to set up your different Location IDs. All of the information required here is generated and sent to you when your ACH services are approved. Give the credential a descriptive name that represents the bank account for this credential. Enter the Merchant ID, Location ID, Store ID, and Store Key issued to you. Continue adding ACH credentials for each location ID you have been approved for. 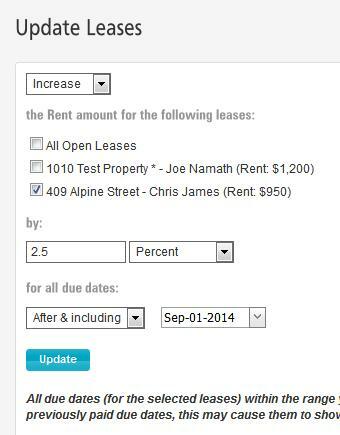 Now that you've added your bank accounts / credentials, you can specify which tenant payments go to which bank accounts. 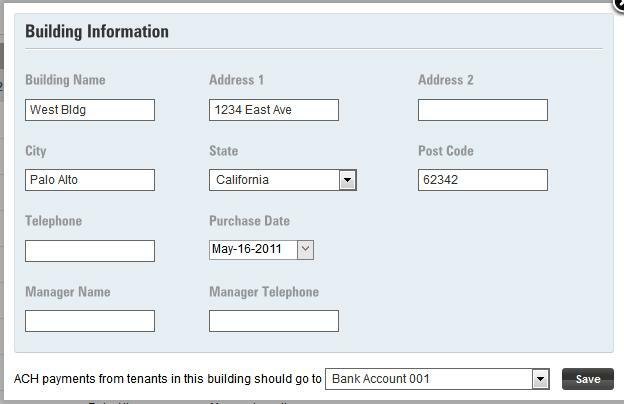 This is done at the Building level - so you'll need to have your tenants assigned to Properties in the system (normally be creating lease records that link the tenants to the properties), and the properties should be linked to a Building. The Building is a way of categorizing a number or Properties/Units into a higher level group, that either represents a physical building the units or apartments belong to, or just as a virtual way of categorizing/grouping units/properties. Select an ACH Credential and click Save. Now, when Tenants log into the Tenant portal, the system will detect what property (and thus Building) they belong to, and will transfer any funds they send to you to the bank account associated with the ACH Credential linked to that Building. This way you can cleanly segregate tenants funds into the bank accounts they belong to. Big Update - Work Orders for Buildings, Plus Unlimited Expenses and File Attachments! - Now, you can add Work Orders just for Buildings - assign work orders to buildings (without having to specify any one particular unit/property) - this is great for work items that at the level of the entire building or apartment complex, or for general maintenance and common areas. - Work Orders can have any number of Expense entries assigned to them - previously, you were limited to adding a dollar value for Labor expenses, and another for Materials, but you had to add other expenses to the work order manually. Now you can add them right from the Work Order screen, and these will appear on the main accounting expense ledger, and on the reports - no extra entry required. - You asked for the ability to add file attachments to Work Orders, and now you can - add any number of files, and even have images (.gif, .jpg, .png) appear on the Work Order details report! 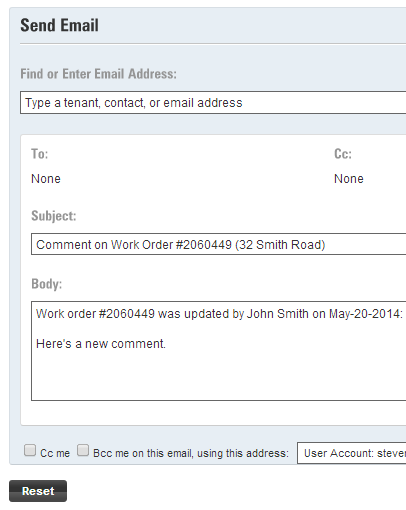 - As before, you can add any number of Comment entries to the Work Order - now though, you can send these comments to your tenants directly from the work order screen, and the comments will also be added to the tenant's contact history. 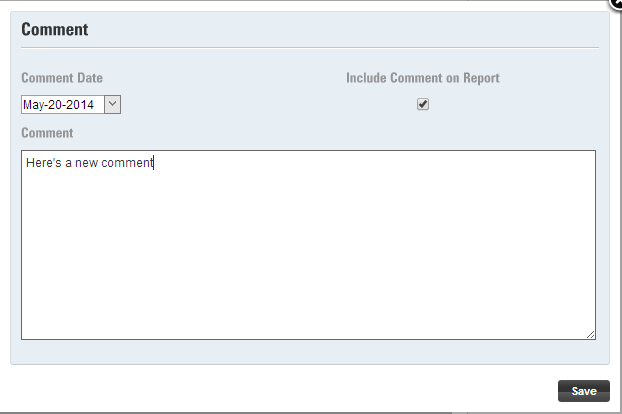 Also, you can choose to show these comments on the Work Order Detail report - all great ways to keep your tenant (or anyone else involved in the work order) up to date on progress and completion! To edit a particular area of the work order details, click the applicable Edit button and save you changes. If you selected a tenant as the recipient of the email, an entry will also be copied to the tenant's contact history. Clicking the close button will set the work order status to 'Closed' (it will move to the Closed work orders list) and the closed date will be set to today's date. Questions or Feedback? Drop us a line! Hopefully these changes will allow you to derive more value out of the 123Landlord work orders module, and let you keep track of expenses and the work order's lifecycle more accurately. We realize these changes might introduce a bit of change and departure from how you're used to seeing and working with the work orders areas of the system, but we're confident these changes are in line with user feedback as a whole, and represent a positive step forward for this piece of functionality. As always, if you have any questions about how to use the new work orders features, let us know - we're here to help! 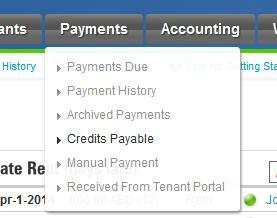 We've just added the ability to create credits for your tenants - these are amounts that are intended to be returned back to the tenant, and could include things like security deposit re-payment, credits for services rendered, refunds, or other similar payments. Enter the particulars of the credit, including the type, a comment, and the amount. Also indicate when the credit is to be issued and on the books (credited on date). Click the ADD button and don't forget to scroll up and click SAVE LEASE. The Post Payment panel appears, and you can enter the details of the exact date the credit was paid out the tenant, including the amount (you can enter a partial amount if the credit is to be paid with multiple transactions or checks, etc. ), method of payment, and reference/check #. Enter a comment for your own reference. When credit payments are posted, an expense accounting entry is filed in the accounting ledger as well - this represents the corresponding debit from your operating account and can have any expense account (GL) code you wish to tag it with. As always, if you have any questions about this feature please drop us a line! We've just added the ability to have more control over which parts of the system your user accounts (your employees, assistants, owners, etc.) can access. Previously, you were limited to setting users as either Normal, Editor, Viewer, or Admin - and various permissions came along with these roles. For example, viewer users can only view data, but cannot delete or edit it. Check a box here to restrict your user from being able to see this part of the system. When these changes have been saved and your user logs in, he/she will not see the menu items, toolbar buttons, or otherwise be able to view pages specific to the functional area they have been restricted from. How do I email a tenant a next period invoice? For example, I want to send a statment today that shows past rent due, late fees, and February's rent due. Thanks for your help with this matter! If you select Payments --> Payments Due you will normally see charges that are past due and late fees if you have enabled them to auto-generate (on the Lease edit screen) or added them manually (the lease edit, other charges tab). So these should show there already if they are past due. 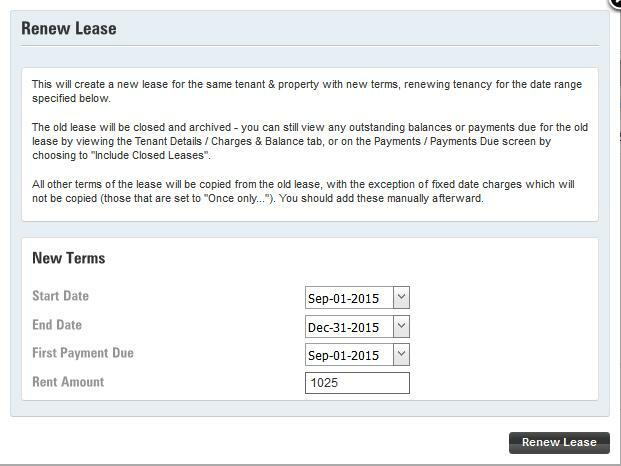 Check the boxes to the left of each charge for that tenant, and click Generate Invoice. 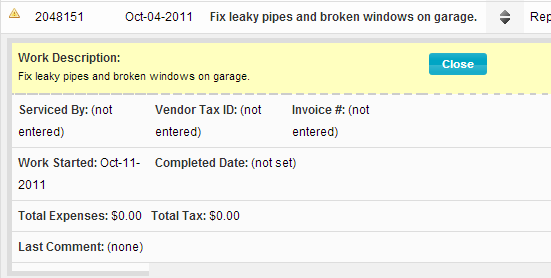 Enter the invoice settings there where appropriate and click Email Invoice To Tenants. If your tenants email address has been already entered into the system (on the Tenant Detail screen) it will be pre-filled, and you just have to enter a subject and email message and click Send. To invoice future charges (eg February's rent due), go back to the Payments --> Payments Due screen and in the "Show Payments Due" drop down list, choose a future time period, such as "Next 60 days" - this should show Feb's rent due. 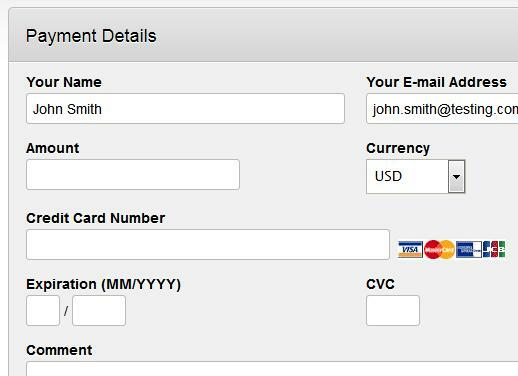 Check the box to select this charge (and any other future charges you want to invoice) and click Generate Invoice again. Repeat the steps above to email. So basically the process is to invoice the past due charges and email that, and then generate and invoice the future charges - so two separate emails. In response to user feedback (thanks Deb!) we've made some changes and additions to the Lease Edit screen. We've renamed the "Bi-Weekly" option to "Every Two Weeks" - this option will calculate due dates every 14 days. 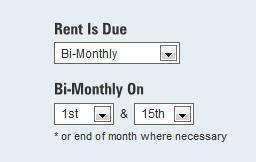 We've also added a new option called "Bi-Monthly" - this is where you need the due dates of a lease to be twice monthly on specific dates. Previously the bi-weekly option would sometimes work for leases where the rent was due on the 1st and the 15th (just because that's often where the 14 days would fall), but not always. Certain long or short months would cause this to stray. The bi-monthly option corrects this flaw. When you select Bi-Monthly in the lease editor, you'll see that you have the option to select two days of the month. Usually you'd select the 1st and the 15th, as this is the most common bi-monthly scenario. Other common ones are the 15th and the 30th, but you can choose any two days - so this is really much more flexible. In cases where a day you've selected doesn't exist for that month (i.e February or months without the 31st), the system will use the end of month as a replacement. So if you choose the 29th, it will revert back to the 28th for February if the year isn't a leap year. Similarly, if you choose the 31st, it will revert back to the 30th for months where 31 is not applicable. Tip: Make sure you select your "First Rental Payment Due On" date to be the first bi-monthly day. For example, if your rent is due on the 1st and the 15th, set the first payment due on to the 1st, and click Refresh in the Payment Schedule to verify. You could always add "other charges" in 123Landlord - these were non-rent payments like fees, utilities, and other additional items your tenants pay either as a one-time charge, or every month. Until now, though, it was a bit difficult to add charges where you didn't know the exact amount up front, like in the case of utility bills, for example. We would always recommend you enter the estimated charge (eg $50), and then you'd have to go back and modify this charge amount on the Lease edit screen to make everything balance when the bill arrived ($44.86) and you wanted to pay that charge - fairly cumbersome. Now, we've added the ability to due Variable Amounts Due - meaning the amount due is variable, and you can override it later when you're about to collect payment on it. This is great for utility bills, because you can set up the lease with an estimated amount for the charge, and then override that on the fly to keep everything balanced. When you enter a charge now, you can set it to Variable, which means you can override the amount later, on the Payments due screen. So if your tenant pays a utility bill every month that is usually around $100, enter the charge for $100 and set variable ON. Click "Add" and don't forget to click "Save Lease"! When your charge is due, it will show in the payments due list, with the estimated amount due. Let's say that you've received the utility bill and the amount actually due (that the tenant will pay) is not $100, but $88.24. You can override the amount due. The amount due refreshes (along with the balance owing for that item). The total amount due (at the very top of the list, and at the bottom footer) also recalculates. So this means that for this charge, only $88.24 is due, even though other charges of this type (if you've set it to be recurring) are still $100. So when you collect the $88.24 (in partial payments or all at once), everything will balance, without having to jump through hoops adjusting the other charge settings on the Lease Edit screen.